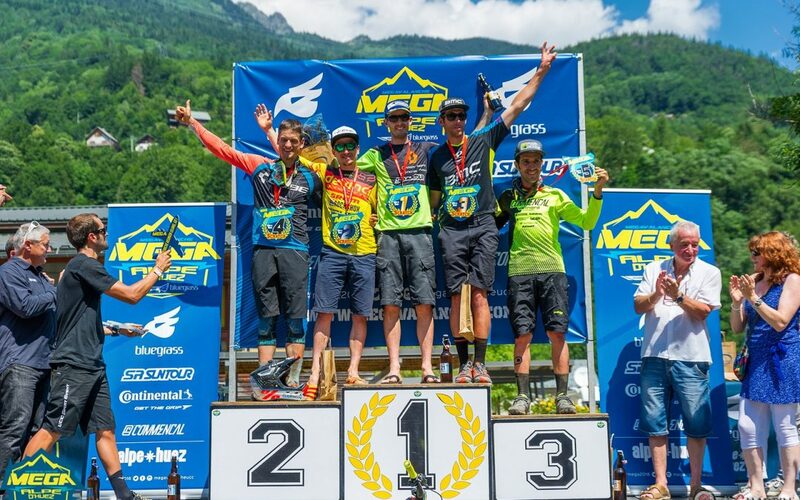 It’s the 22nd Megavalanche, what keeps bringing you back to Alpe d’Huez? It’s the best place for an event like this, it has one of the longest runs in the world. There is the fantastic bike park area, the lifts, and a big team of people who know what they’re doing when it comes to put on an event. Today saw the women race down from Pic Blanc (3300m) descending 2500m to the valley floor, which took just over 50 minutes of racing. Within that 50 minutes, there are a whole host of things that can go wrong. Some described the race more as an obstacle course. Yesterday was qualifying day in Alpe d’Huez and for qualifying, riders ride a different track to race runs. The qualifying track is a shorter and lacks the big glacier start, it has patches of snow still, and is a long way from being easy. The Megavalanche. The Mega, is Mega. It’s got 2500m of descending, which starts off on the glacier at Pic Blanc, high above Alpe d’Huez (3330m). Nothing could’ve prepared me for how steep that glacier actually is, riders were using the third and fourth brakes (right foot and left foot) just to try and regain some control.